Time to Make Spring and Summer Beach Plans! Stay at the best family resort on the beach! 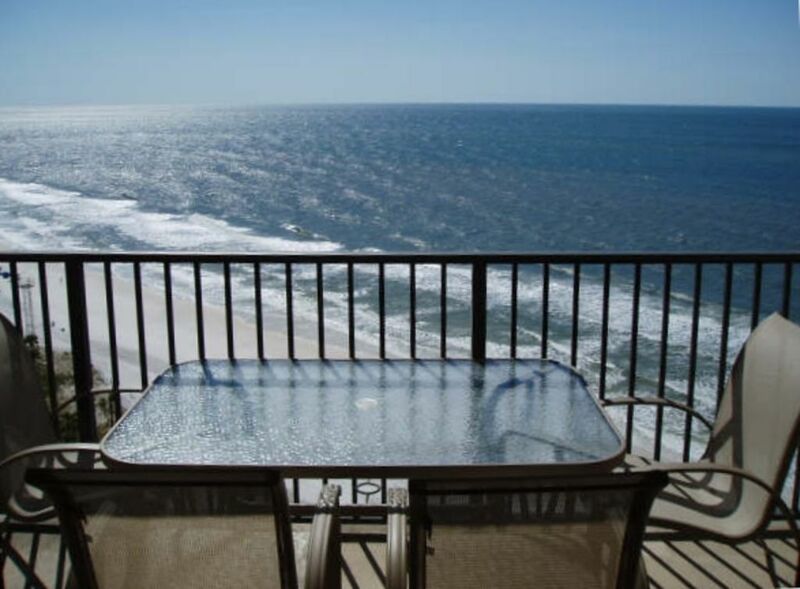 Our condo is oceanfront at the popular Dunes of Panama on Thomas Drive in Panama City Beach, Florida. Dunes of Panama has the most beach frontage per owner on the beach. This condo was recently updated with a fresh coat of paint, upgraded molding, new doors, new light fixtures, new faucet, and brand new refrigerator. For 2014, all new bedroom furniture and new king mattress in master bedroom. You will enjoy spectacular views of the Gulf of Mexico from your private, over-sized balcony with access from the living room and master bedroom. Sip coffee while watching the dolphins play! The Dunes of Panama resort in Panama City Beach, Florida features 1500 feet of private beach, three large Gulf-side swimming pools surrounded by spacious sun decks and shaded gazebos, two lighted tennis courts, volleyball, a game room for the kids, fitness center access and 24-hour security. Free wireless internet access is also available. The Dunes of Panana enjoys a quiet Thomas Drive location with great restaurants, golf, and family entertainment nearby. Stay with us this year and get 10% off on all repeat visits! We have been renting our condo for five years and pride ourselves on providing a great rental property at a fair price. We own another condo in Panama City and one in Mexico Beach. We give our repeat renters 20% off future stays with us. We have many fond memories of staying at Dunes of Panama before deciding to buy there. Dunes of Panama is a great family resort with three pools, shuffleboard, volley ball, game room, snack bar and free high speed internet. Nice clean property. Owners very responsive. Only 4 star because of cumbersome key system. They actually mail you keys to the property then you have to mail them back when the stay is over. Would suggest a lockbox or digital lock with a code. Thanks for your review! We are looking into a lock box or digital code system and hope to have it implemented this Fall. Glad you enjoyed your stay. Stacey was very quick to respond and reservation was quick and easy. The condo was clean and very accommodating, great view of the beach, lots of parking and easy access to beach and pool. Close to several good restaurants. Would definitely stay again and recommend to family and friend. We enjoyed our stay in this great condo. The decor was very Floridian and I liked it. Loved the condo. Evetything we needed was there. Great condo! We will be back. The view was amazing. great view and furnishing were ok except the living room furniture was uncomfortable. good value for a place on the beach would recommend this unit. home away was great to deal with , prior post was not home a way fault I just found out.